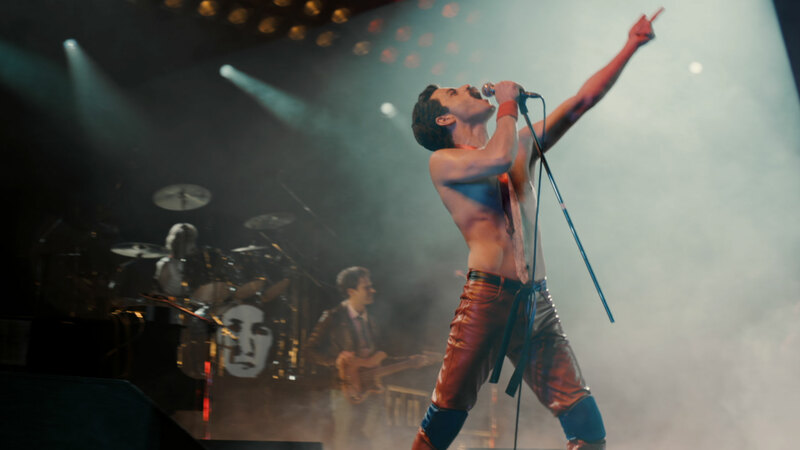 Actor Rami Malek stunned us all with his widely-praised for his portrayal of rock legend Freddie Mercury in the 'Bohemian Rhapsody' biopic of the Queen frontman. 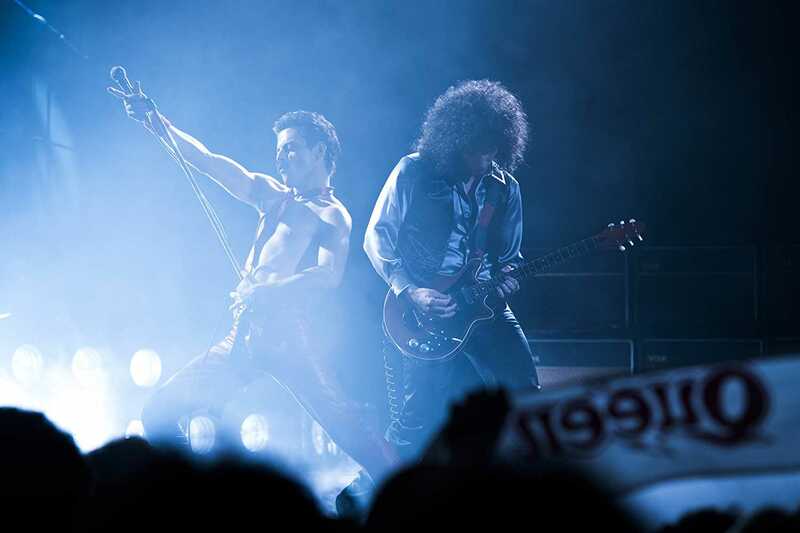 A viral video which recently made rounds in social media revealed how spot on Malek's performance of the Queen frontman was. But how did the creators manage to replicate his look and appearance so accurately? MEAWW was able to get some fascinating insights from the woman behind the scenes who made it possible — Jan Sewell, Malek's make-up artist. The eminent artist has worked in some of the biggest blockbusters in Hollywood, namely 'The Danish Girl', 'The Theory of Everything', 'Tomb Raider', 'Les Miserables' and of course, 'Bohemian Rhapsody'. Can you explain how you brought about the complete essence of Freddie Mercury while doing Rami Malek's make up? The first time I met Rami, we sat and chatted. I had already worked on loads and loads of fake models of Freddie Mercury from when he was very young all the way up to Live Aid, which is the period we were covering. And instantly, when I saw Rami, I realized his coloring was really good. There was a lot about Rami's appearance that was very favorable for the role but there were also bits that didn't work. When we initially started talking about it, I definitely wanted to do a nose. I knew that would make such a difference. But at the same time, I did not want to do a big make-up on him because I knew it was the little things that make the necessary differences. Rami has got fabulous large eyes but Mercury's weren't as large. So I was thinking of all the things I could do that would help us in that direction. Rami also showed up with his haircut from his show 'Mr. Robot' — very short on the sides and long on top — which was not what we needed, so I knew I had to wig him. I got several wigs because we were doing Freddie Mercury from when he was 19 and he first arrived here in England all the way up to when he was in his late 30s and early 40s during Live Aid. I had at least five different beats and hairstyles. Initially, I was asked to do his chest and mustache to bring the concert look from Live Aid. They were very keen to see that look first. So, we had Rami's faced carved. I went to Mark Coulier, who is a prosthetic makeup expert and we had Rami's face scanned so we could have an exact copy of it. Rami already had the teeth made and had been practicing with them for quite a few months. Nonetheless, I knew that the producers and the director would be interested to choose from a range of different sizes because he had to look perfect for the part. After settling on that, we conducted the final make-up tests. As a make-up artist, could you describe some of Mercury's distinctive features or flaws that set him apart and made him who he is? First of all, his teeth. We had to get that right. At the same time, we had to not let them take over, because if I had them exactly the size Freddie's teeth were in relationship to Rami's, they would have been too big and overwhelming. So, in fact, we scaled them down a fraction, by millimeters. Other than that, Freddie had a very straight nose. It was quite sharp, unlike Rami's, so we had to work on that. Also, Freddie had a very strong jawline, which is exactly what Rami has, so that was perfect. I had to change Rami's skin tone a little bit because his is a little bit yellow and I wanted to introduce some more warmth. Then, of course, it was about the various depths of hair color. Freddie's Parsi ancestry meant his hair was very dark and had quite a curl to it. I made sure all the wigs had quite a lot of texture in them so that we could recreate the same hair type. How did you go about designing and subsequently applying the makeup? When I was in the early discussion for the film, I knew I wanted to focus on the nose and that it would add time to my makeup in the mornings. You have to consider the time it takes to complete the makup. You can make the most amazing design but if it takes 10 hours to apply it, then it defeats the objective. As hair and makeup designers, we always worry about what you're trying to achieve and if it's actually possible time-wise. I knew that Rami was in every single scene of this film, so I didn't want to take so much time for make-up that it would affect his rehearsal and shoot times. Also, it is not something appreciated by the producers and the director. The way I go about designing it, I always want to bring the "essence" of the character into play and not just some lookie-likey on the screen. With great actors like Rami, they will take the make-up, own it and make that character appear. In such a case, I don't want my makeup to get in the way. I wanted it to help him and not hinder him. So, I kept these things in mind with everything I designed. Would you have done anything differently if Sacha Baron Cohen had played Freddie Mercury? How do you usually approach a particular character's make-up? Could you take us through the steps? Well, the first thing to do is read the script. If I was to meet the director and give them ideas, I'd first have to read the script, break it down, and do the referencing. Sometimes, when I'm reading a script, I'll start to put a mood together and try to understand what the script is trying to tell me. Then you do your referencing based on the period you're trying to recreate. If you're talking of a lead character, which is the director's focus, you have to consider things like whether they are old fashioned or modern. You know, writers do an amazing job in defining the character draft, what their personalities are like, whether they are anxious or carefree, things like that. So, based on the script you start putting your mood boards together. Your mood board can simply contain just textures and colors, you can also put in some fashion photographs if you think it is relevant to that character. Hence, the process is very script-led. That said, once you have been offered the job, you get a lot of information from the director. They could have their own mood boards or strong opinions on the character. Sometimes, when the director is very involved with the script, they already have an actor in mind. It is possible that as soon as you know the actor, you may completely change your mind about the look that you'd previously thought of. And so, there are a lot of different things that may influence you. Could you recount some of your best experiences and memorable works for us? 'The Theory of Everything' is one of my proudest films. I felt it was a beautiful story told with fabulous actors and a sensitive director. I had an opportunity to do what I like, which is to change somebody as seamlessly as I could. I would also say I had a wonderful experience with a film called 'Everest', when we went to Kathmandu, traveled to the basecamp and did a lot of shooting in the snow. It was a physically intensive film but rewarding at the same time. What inspired you to become a make-up artist, considering it is not a mainstream career choice? Well, strangely, I wanted to be an interior designer. In fact, I did work as one for around two years at the London College of Furniture. However, one day I was watching a television show on BBC, many years ago, and it had ageing in it — something I had never seen before. It was called 'I, Claudius' and it had ageing all the way through. I remember thinking "Oh my god, somebody does that for a living!" I waited for the credits to go up and it said 'Make-up Artist'. The next morning, while it might sound silly, I rung the switchboard and I said "Can you put me through to the Make-up department?" and they said "Yes!" I asked them how to go about working for the BBC and learning at the same time. And she told me I had to do this course to go ahead and asked me for my contact details. She said they had a new course starting and that she would write to me. Eventually, they did and I went on to work for the BBC for over 15 years and it was easily the best training ground in the world. It was fantastic.